Today our office had our annual Thanksgiving Potluck Lunch. We already laugh a lot in the office (which is truly something to be thankful for!) but it’s nice to have official time to crack each other up. We had all sorts of things from grapefruit salad, lentils to “homemade” sesame noodles. I had seconds and then dessert (tis the season). I lost the Thanksgiving Quiz but convinced the winner (there wasn’t much convincing, Sandy is so nice) to give me her turkey hat which I’ll post later. I brought a cold salad of green beans with a sherry vinaigrette which I found on Epicurious.com. The recipe is a bit salty so beware – but a great dish for a potluck. Easy to prepare, transport and no reheating and awkward shoving into breakroom microwaves! Whisk first 6 ingredients and 1/2 teaspoon pepper in small bowl. Mix in dried cherries; set aside. DO AHEAD: Vinaigrette can be made 1 day ahead. Cover; chill. Bring to room temperature; rewhisk before using. Fill large bowl with water and ice; set aside. 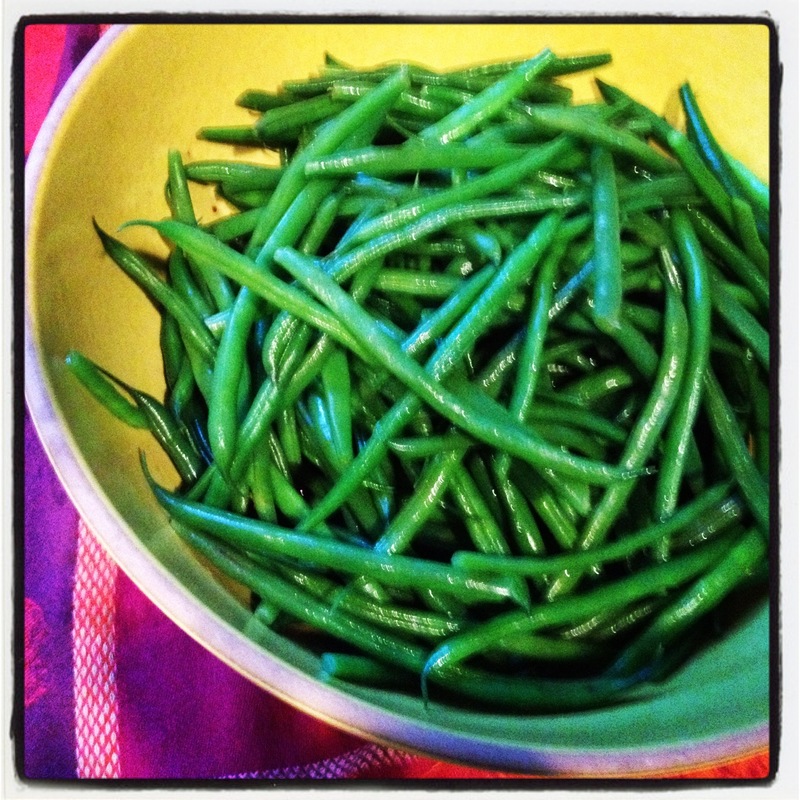 Cook green beans in large pot of boiling salted water until crisp-tender, 3 to 4 minutes. Drain. Transfer to bowl with ice water; cool. Drain. DO AHEAD: Can be made 1 day ahead. Wrap in paper towels; enclose in resealable plastic bag and chill. Let stand at room temperature 1 hour before continuing. Toss green beans, walnuts, and vinaigrette in large bowl. DO AHEAD: Can be made 2 hours ahead. Let stand at room temperature. Previous Never a season for an empty pantry or a hungry community. I am so making this! Though I am glad I didn’t have to bring a dish to “your” pot luck! Too much pressure! Thanks for all the sharing you’ve done all year. I look forward to your posts!